Texas Superfood Complete Review | Buy or a Scam? If you can’t, won’t, or don’t eat all your fruits and vegetables every day, Texas SuperFood Complete is made for you! According to the advertising, this supplement will give you the benefits of a healthy diet the way God intended! Texas SuperFood Complete is available in capsule or powdered form, and comes with a separate jar of digestive enzyme powder. Is it worth a try? We take a look to find out more. The Texas Superfood company is actually based in Springfield Utah, which we found disappointing because we wanted and expected it to be located in Texas. The brand is part of the NPN Group Inc LLC, which seems to be engaged in many different businesses including importing products from China. Texas SuperFood Complete is marketed as a complete health supplement that you can use in the place of a balanced diet, which is very dodgy advice because doing this would be dangerous for health. You can buy it in the form of capsules or powder and it is expensive. It comes with a supplementary product of a digestive enzyme and probiotic powder, about which there is zero information. The advertising claims that the supplement contains 55 ingredients but only names 24! Texas SuperFood is not organic as claimed and although this supplement has been put together in the USA, it contains imported ingredients from unknown sources and in unknown quantities. We have major concerns about the safety and the quality of this supplement, as well as the obvious untrustworthiness of the company behind it. What Are The Side Effects Of Texas Superfood Complete? 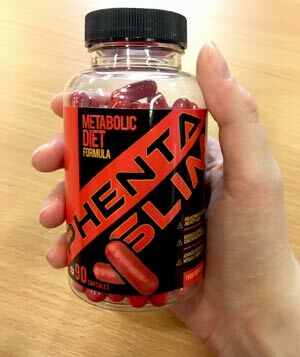 The product information is inadequate so it is impossible to predict how this supplement will affect you, however judging by the listed ingredients side effects could be an issue. Potential side effects may include headaches, stomach upset, fatigue, sweating, palpitations, insomnia, nausea, diarrhoea green stools, and interactions with prescription medication. Some people may experience an allergic reaction. The supplement contains spirulina which can cause shellfish allergy symptoms, including hives, swelling, and throat irritation. Spirulina from unknown sources as here can be contaminated by heavy metal pollution including mercury, arsenic, and lead. There is zero information about the Digestive Enzyme Probiotic supplement, the supplementary product. It may be OK, but it is important to remember that probiotics are a form of bacteria and can be unsuitable for some users, with some strains more dangerous than others. Possible side effects may include abdominal discomfort, bloating, and introduction of infection into the body. How Much Does Texas Superfood Complete Cost? Texas Superfood Complete is very expensive. You could buy a lot of groceries for the same price as this supplement. Buy from the official website and it costs $79.95 for a bottle of 180 capsules (1 month’s supply) or 180 g of powder (1 month’s supply. All purchases come with the supplementary Digestive Enzyme and Probiotic Formula. You are encouraged to join “subscribe and save” which saves you a further $8.95 with free shipping. We don’t advise you should sign up for this auto-ship option, as it may be difficult to cancel. Texas Superfood Complete looks to be operated by an extremely tricksy company who have used some very misleading and questionable advertising in order to sell this supplement. It is not manufactured in Texas, it is not organic and it is not an improvement on God’s plan as claimed. Use this overpriced nonsense in the place of a healthy diet as advised, and your health with undoubtedly suffer. In addition, we have real concerns about the origins and quality of the ingredients. Spirulina is not safe if it has been harvested from polluted waters such as in China, as is likely here, and if any of the ingredients really are organic or grown in the USA, we would be very surprised. Finally, you should never take unknown supplements bought over the internet, yet the Digestive Enzyme and Probiotic Blend comes with even less information than the main product. In our opinion, Texas Superfood Complete is just another overpriced supplement in a long line of products sold by NPN Group Inc LLC. We don’t trust this company and we certainly would not trust our health with this supplement. We do not recommend Texas Superfood Complete to our readers. Texas SuperFood Complete is a dietary supplement that composes of two products. There is the SuperFood which is available in either capsule or powdered form, and this is paired with a jar of Digestive Enzymes and Probiotics described as a supplementary product. It seems that all purchases of Texas SuperFood Complete include both products. You can choose whether to take the Superfood in powdered form or capsule form. The nutritional profile seems to be identical so this will come down to your own preferences. However, the Probiotic add-on supplement is always as a powder! Now that we have got all that out of the way, let’s look at the supplement! According to the product information, Texas SuperFood Complete contains 55 superfood ingredients including Acai berry and Broccoli. All are advertised as organic and GM-free and contain all the different nutrients, vitamins, and minerals present in the fresh fruit and vegetable in the supplement. We could only count 24 ingredients, so there is a shortfall here of 31 unknown and unlisted ingredients which is worrying. In addition, you have the probiotic/digestive enzyme supplement to help improve digestion and general health. Surprisingly, we cannot find a product label for this supplement, and as it could contain 31 different components, this is especially worrying. Check out the ingredients tab to find out more. Powdered supplement: Combine 1 Level Scoop and Probiotic Enzymes with 8-10 ounces of the beverage of your choice. Capsule supplement: Take 6 Capsules with our Probiotic Enzyme blend daily. For best absorption, take small doses multiple times a day. Texas SuperFood is not made in Texas. The farms where the raw ingredients are produced are not based in Texas, and not all the components of this supplement are even derived from the USA. This is understandable given that some of the fruits only grow overseas such as in Asia, but there is no real information about the origins of the ingredients in this supplement. Texas Superfood is a brand operated by a company called NPN Group Inc LLC based in Utah and headed by a man called Dennis Black. The company address is provided as 1180 N. Mountain Springs, Springville, UT, and the phone number is 1.888.36.36.888. There is also a live chat facility on the website advertised but it does not seem to work. Although Texas Superfood does not seem to have much connection with the state of Texas we did find that company president Dennis Black was linked to 9 companies including Dallas Health LLC as well as other nutritional supplement companies many of which seemed to have fallen by the wayside. We also found that NPN Group have a wide variety of business including the import of goods from China. What Does Texas Superfood Complete Claim To Do? Bizarrely Texas Superfood then calls on the Almighty in order to convince you to buy this supplement. “God Created You. He also created Fresh Natural foods to keep you healthy. At Texas SuperFood we know this is the truth. We also know you’re busy. That’s why we took God’s Best foods and made Texas SuperFood Complete. In this product are the all natural food intended for your body, in a convenient powder form. Does Texas Superfood Complete Work? There is not much information about the contents of the supplements. Yes, we are told there are 55 different ingredients but in our opinion, there are some health concerns and questions about their quality. In our opinion, improving your diet would be a better option than using this supplement. One of the major issues with Texas SuperFood Complete is that you don’t really know what you are taking. This supplement claims to be based solely on natural fruits and vegetables yet contains Spirulina and chlorella, both micro bacteria (algae) derived from marine sources and both with a high risk of side effects. Spirulina is grown in salt water and is often contaminated by pollution containing lead, mercury, and Arsenic. Of most concerns is Spirulina harvested from China which is probably the case here. Chlorella is harvested from freshwater sources and can cause side effects. Ingredient quantities are not provided or even named in the probiotic supplement and although the product information provides some information about many of these such as the benefits of Acai “delivering healthy fats and fiber, making them a generally healthy food” you don’t really know how much of this will really work in supplement form. We are not told which ingredients are organic and which are not. Our guess is not many! Most of the components of this supplement are imported from countries where organic status is hard to prove, such as China. If you are going to call a supplement Texas SuperFood Complete and imply it is an American product ordered by God, surely sticking to organic traceable local produce as implied by the advertising is a more trustworthy and honest approach? What Are The Ingredients of Texas Superfood Complete? 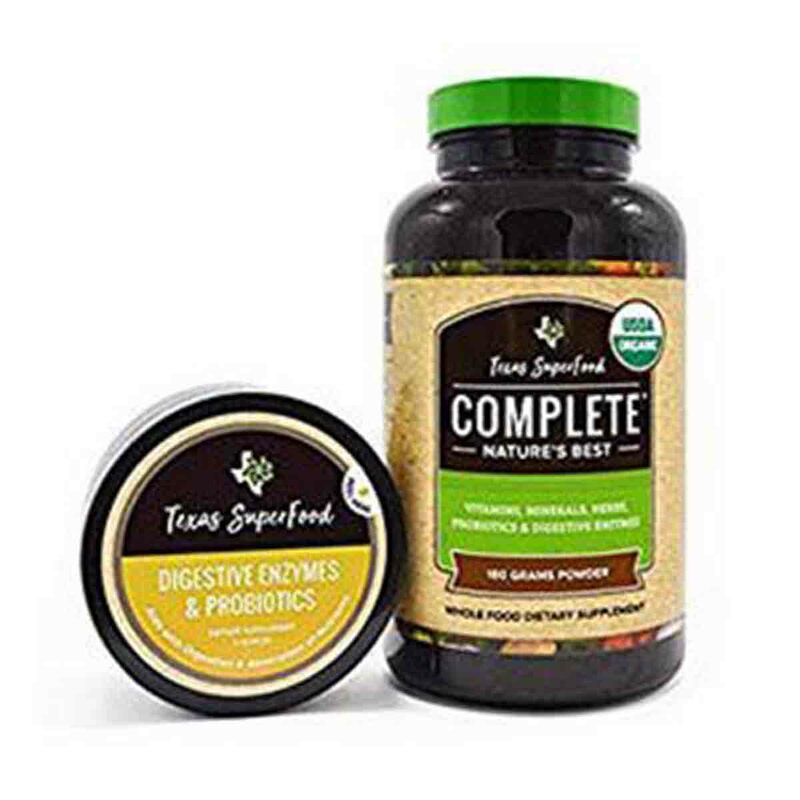 Texas SuperFood Complete is a two pack product consisting of SuperFood in the form of capsules or powder, and also an add-on digestive enzyme supplement. Serving size is equal to 6 capsules, or one 6g scoop if you choose the powder. There are no ingredient quantities provided on the label and all the ingredients are labelled organic which is untrue. We have omitted the “organic “prefix here. Nobody has any idea regarding the serving size of individual ingredients or the overall quantity of the combined active ingredients. Ingredients: Acai Berry, Baob, Beet, Black Seed, Broccoli, Broccoli Sprouts, Camu Camu, Chlorella, Elderberry, Ginger Root, Goji Berry, Golden Berry, Grape Seed, Hawthorn Berry, Holy Basil, Lucuma, Maca, Monk Fruit, Noni, Pomegranate, Spirulina, Sweet Potato, Turmeric, White Mulberry. None of these components apart from broccoli and beet are likely to have been grown on farms anywhere near Texas. Spirulina and Chlorella are types of algae and both known for the risk of side effects due to pollution. Other ingredients may have benefits but are also known for side effects. There is zero information about the Digestive Enzyme Blend, the supplementary product. Given that the advertising claims there are 55 ingredients in total and there are only 24 listed ingredients, this leaves a shortfall of 31 unknown ingredients. Does Texas Superfood Complete Have Any Side Effects? We found only 5 independent reviews on Amazon and none of these users mentioned side effects which is good news. However, with such unknown components of this supplement added to the concerns about just what is in the digestive probiotic blend we would be very cautious. An added major concern about spirulina is the high risk of contamination by pollution, including mercury, lead, and arsenic. The unknown Digestive blend/Probiotic supplement is of concern. It is important to remember that probiotics are a form of bacteria and can be unsuitable for some users, with some strains more dangerous than others. Not suitable for individuals under 18. Avoid if you are pregnant or breast feeding. 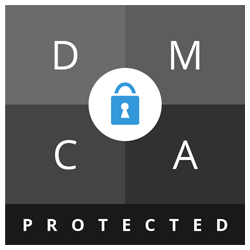 Do not take if you have an underlying medical condition or a compromised immune system. Do not take with prescription medication and discontinue use if you experience side effects. Seek medical advice if necessary. Are There Any Customer Reviews For Texas Superfood Complete? There are only a handful of reviews, so we may as well include them all! Thought I was getting a capsule. Did not know it was powdered and actually 2 separate products. Texas Superfoods is great stuff. If used everyday your immune system will start to build up and become strong. When that happens you don’t get sick anymore. I stopped getting sick and i used to get sick several times a year. I also don’t get allergies hardly at all. It solves a lot of problems in the body if you have diabetes or high blood pressure. It also makes you feel better and you have more energy. Dont expect this to be a quick fix for things….It takes some time but when it starts working for you, you will feel better than you have in years and stop getting sick. When your immune system is strong your body will fight off anything including cancer, etc. This is how it works. Just stick with it and you will notice a difference. I also noticed when i recently started taking the probiotic/enzyme supplement that comes with the superfoods, my stomach doesnt get upset anymore…. Good product, no after taste. Happy with the purchase. Does Texas Superfood Complete Offer a Money-Back Guarantee? All products carry a satisfaction guarantee for 30 days from the date of your first purchase. If you are not satisfied with your purchase for any reason, please return any unused portion for a refund of the purchase price, less shipping. Where Can I Buy Texas Superfood Complete? You can buy Texas Superfood Complete direct from the official website. It is also on sale via Amazon. 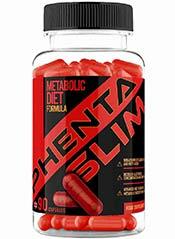 How does Texas Superfood Complete compare to Phentaslim? The Diet Pills Watchdog does not recommend Texas Superfood Complete.